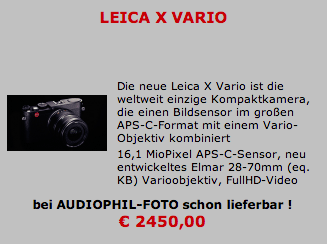 The German retailer Audiophilfoto has a listing for the Leica X Vario camera on their front page. The specifications are the same as previously reported. The price is €2450 (the US price will be lower, probably around $2,850). 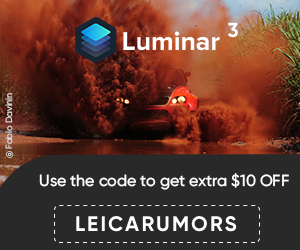 The camera will be officially announced tomorrow and should be available in Leica stores.